Annie is an 8-year-old-girl referred for an evaluation. You are assigned to complete the Comprehensive Assessment of Spoken Language 2nd Ed. (CASL-2) with Annie and report your findings. This simulation is presented in partnership with Western Psychological Services. Annie’s average clinical clock hour time for mastery level competency is 60 minutes. LeBron is a 10-year-old-boy referred for an evaluation. You are the speech-language pathologist assigned to complete the Oral Passage Understanding Scale (OPUS) with LeBron and report your findings. This simulation is presented in partnership with Western Psychological Services. LeBron’s average clinical clock hour time for mastery level competency is 30 minutes. LeBron is a 10-year-old-boy referred for an evaluation. You are the speech-language pathologist assigned to complete the Oral Written Language Scales Second Edition (OWLS-II) with LeBron and report your findings. This simulation is presented in partnership with Western Psychological Services. LeBron’s average clinical clock hour time for mastery level competency is 45 minutes. Antoine is an 8-year-old-boy referred for an evaluation. You are the speech-language pathologist assigned to complete the Oral Passage Understanding Scale (OPUS) with Antoine and report your findings. This simulation is presented in partnership with Western Psychological Services. Antoine’s average clinical clock hour time for mastery level competency is 30 minutes. Antoine is an 8-year-old-boy referred for an evaluation. You are the speech-language pathologist assigned to complete the Comprehensive Assessment of Spoken Language 2nd Ed. (CASL-2) with Antoine and report your findings. This simulation is presented in partnership with Western Psychological Services. Antoine’s average clinical clock hour time for mastery level competency is 60 minutes. Devin is an 18-year-old male referred to your voice center for a vocal wellness evaluation prior to beginning a degree program in vocal performance. You are the speech-language pathologist assigned to rate his stroboscopy. Devin’s average clinical clock hour time for mastery level competency is 10 minutes. Alexis is a 5-year-old-female who is in kindergarten. You are the speech-language pathologist assigned to complete the Phonological and Print Awareness Scale with Alexis and report your findings. This simulation is presented in partnership with Western Psychological Services. Alexis’s average clinical clock hour time for mastery level competency is 30 minutes. Lilly is a 7-year-old-female who is in second grade. You are the speech-language pathologist assigned to complete the Phonological and Print Awareness Scale with her and report your findings. This simulation is presented in partnership with Western Psychological Services. Lilly’s average clinical clock hour time for mastery level competency is 30 minutes. Jordan is a 5-year-old-male who is in kindergarten. You are the speech-language pathologist assigned to complete the Phonological and Print Awareness Scale with Jordan and report your findings. This simulation is presented in partnership with Western Psychological Services. Jordan’s average clinical clock hour time for mastery level competency is 30 minutes. Jeannie is a 12-year-old-girl referred for an evaluation. 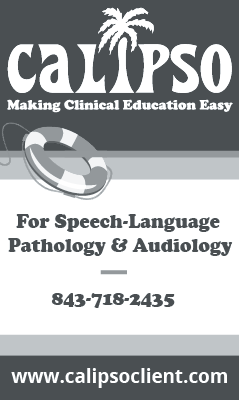 You are the speech-language pathologist assigned to complete the Clinical Evaluation of Language Fundamentals Fifth Ed. Metalinguistics with Jeanie and report your findings. This simulation is presented in partnership with NCS Pearson Inc. To learn more about Pearson’s Training Partnership Program, click here. Jeannie’s average clinical clock hour time for mastery level competency is 90 minutes.